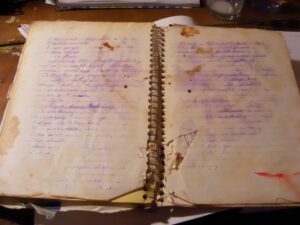 I don’t know where this recipe came from, but it’s the first chocolate cake recipe I ever started making on my very own when I was a wee thing. 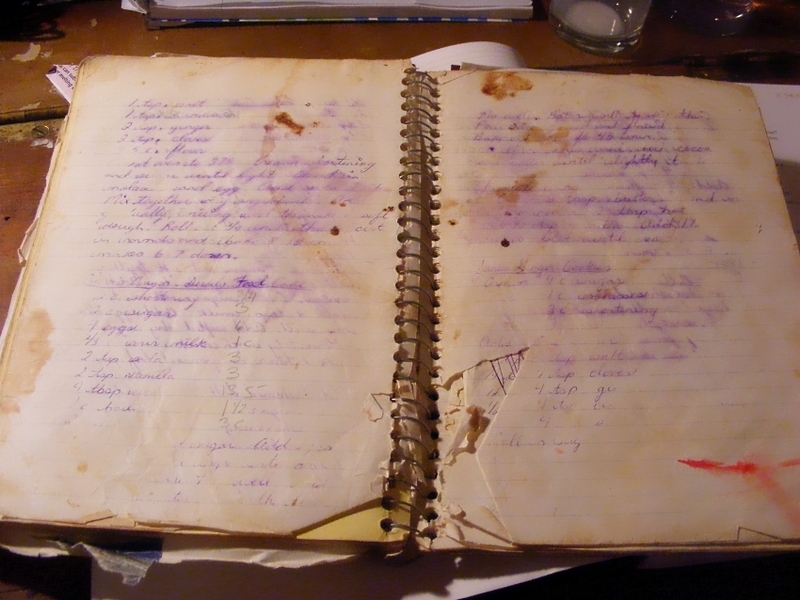 As you can see from the state of my old recipe book I made it quite a lot (or perhaps just very messily!). Cream shortening and sugar. Add eggs. Sift together flour and baking soda. Mix the cocoa and water together and simmer until slightly thickened. Mix dry ingredients into the egg mixture and pour in the cocoa, milk and vanilla. Stir well. Batter will be very thin. Pour into 2 x greased and floured 9″ round cake pans and bake at 350 C for 45 minutes. Blend together until creamy. Additional water may be required – just keep adding a few drops at a time until you reach the desired consistency.